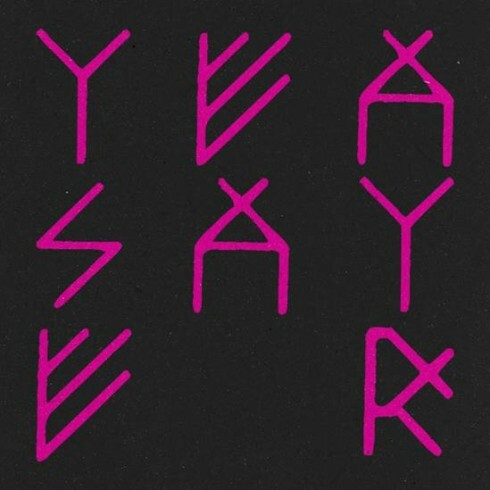 Kellen: Yeasayer might have invented a new genre: slow jams electronica. There will be head bobbing, but leave the deodorant at home, because you aren’t going to break a sweat. The Ogden hosted a three-ring hipster circus Wednesday night with Yeasayer the star attraction. After selling out the Bluebird last year with Sleigh Bells, Yeasayer moved west down Colfax. They had no trouble filling the place on a weeknight; we arrived at 9:30 and had to settle for a spot on the third terrace. The late arrival cost us an opportunity to see the Smith Westerns, but bar-side buzz informed me that they encountered their typical mixing problems. “Madder Red,” the opening number, displayed a couple of Yeasayer’s live strengths. During the song’s extended intro, synths bubbled underneath a crisp two-drummer groove that recalled Phil Collins’ most famous thirty seconds. Then the two vocalists took over; the vocals set Yeasayer apart from the indie rubble. On “Madder Red” it became clear that the high-low cohesion and catchiness of the vocals would dominate the performance. Tunes like “Rome” and “Ambling Alp” were fluid anthems. Other songs relied on keyboard flourishes, jungle beats, samples, and even hip hop scratching to add texture and vivaciousness. As much as I appreciated this energetic quintet of groove merchants, I couldn’t help but think what they could become. For a band taking their cues from Prince, they lack virtuosity. When they played “O.N.E.” halfway through the set, I expected the energy to increase, but it hit a plateau. No one, namely the guitarist, stepped up to solo, which would have elevated the sound above the album version. On “Mondegreen” however, he gave a taste of what the Yeasayer sound can become when it is topped off with guitar. The sound became three-dimensional and filled the space fully. Ultimately, Yeasayer only has 50 minutes of concert, so the 70-minute set felt at times like the checkout line of a grocery store. Luckily, they did produce some quality banter to fill in the gaps. “We saw a lot of you pre-partying in the bar at the hotel across the street. (Pause) I wondered if it was a halfway house.” Zing. I don’t want to hate on Yeasayer too much, because they put everything they had into the show and I definitely enjoyed it. I just hope they can develop rock and roll chops to further augment their confident song writing and sonic abilities.